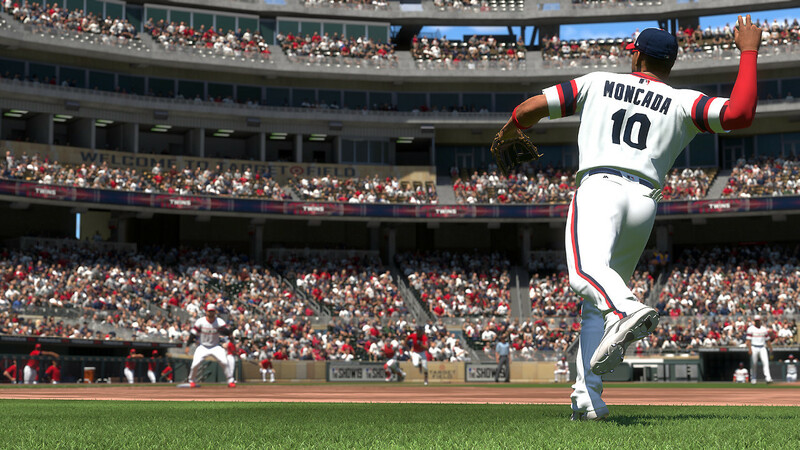 The first post-release patch for MLB The Show 19 went out early this morning. Most of the fixes were likely compiled prior to release with consumer feedback having a greater impact on updates going forward. Besides some animation adjustments little seems to have affected gameplay though it’s always possible small tweaks were made that didn’t warrant mention. ♦Fixed issue where wind meter would often point straight to center field in pause menu. ♦Fixed issues with Pure Analog Throwing interface to address throw-canceling problems. ♦Adjustments made to fielding animations in regards to players facing-direction and catcher behavior on certain tag efforts. ♦Animation adjustments made to the umpires in very specific situations. ♦Disabled calling up expanded rosters during spring training for March To October. This is to prevent undesired roster changes in the 25 man roster leading into a new season. ♦Updated several MLB stadiums that were ruling certain hits incorrectly: Arizona Chase Field, Houston Minute Maid Park, Florida Marlins Park, and Milwaukee Miller Park. ♦Added a 2018 NL East Champion pennant flag to Atlanta SunTrust Park. ♦Added the MLB 150 year patch to the jerseys of the San Francisco Giants. ♦Fixed various consumer reported crashes. This includes the crashes occurring during the “Near Perfection” Moment . ♦Addressed an issue that resulted in users receiving a loss due to disconnect on the Battle Royale or Ranked Seasons Lineup screen. ♦Shortened several menu transitions in the Diamond Dynasty Starting Pitcher and Lineup screens to prevent soft locks and disconnects. ♦New York Yankee color pallet updated to reflect accurate colors in Diamond Dynasty. ♦Addressed numerous Play-by-Play commentary issues and adjusted the volume and clarity of the Public Announcer audio. ♦Corrections to grammar/spelling errors throughout RTTS and other areas of the game. ♦Various minor bug fixes and adjustments, based on consumer feedback.